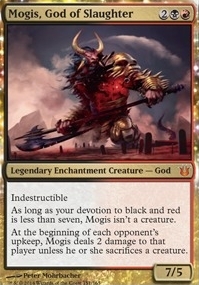 Mogis, God of Slaughter ($6.90) Price History from major stores - Born of the Gods - MTGPrice.com Values for Ebay, Amazon and hobby stores! 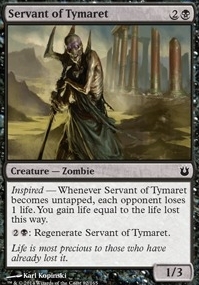 Card Text: Indestructible As long as your devotion to black and red is less than seven, Mogis isn't a creature. 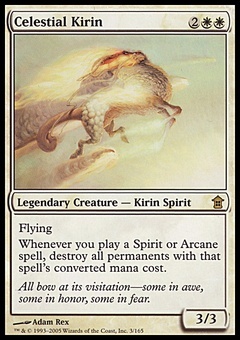 At the beginning of each opponent's upkeep, Mogis deals 2 damage to that player unless he or she sacrifices a creature.